These are awesome, Maryann. What a great resource for parents! I love these and will try to share! Recently at dinner, my youngest piped up about a food she liked that her sister didn’t. I inadvertantly said I liked it too, which was true, but quickly realized I possibly singled out my oldest more sensitive child. The discussion quickly became a family one of likes and dislikes and how everyone’s tastes are different and that’s okay. This is a terrific list! Even though I’m a dietitian and know better, it’s easy to slip into the patterns on which we were raised. I’m printing this. A great reminder. Thanks. @Katie, great idea to print it out! I always email articles to my husband but maybe if I print it he will read it. If I keep it on the fridge then at least I will remember these. What an amazing post! I loved EVERYTHING you said! I have a 16 month old healthy eater and I am already trying to incorporate some of these “rules” for parents. I am definitely printing this and sharing it everywhere! I read “Eat Your Vegetables” by Natalie Muth and she stresses some of these points. Thank you for this!!! Thanks everyone! Just trying to get the word out about positive feeding practices! 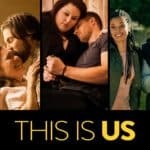 This is such a great article! All of these well-intentioned statements can have incredibly negative consequences. I really appreciate that you included a “better thing to say” for each situation. I will definitely share this, too. A lot of my friends make these mistakes, especially number 10! 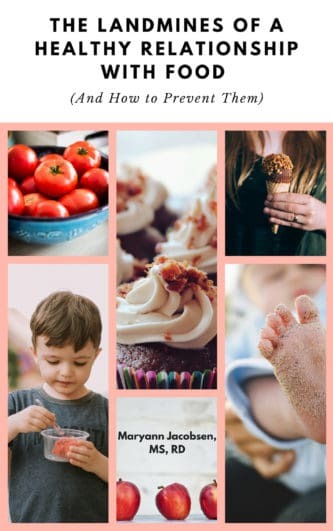 I have always believed all these suggestions in theory…but one that I really struggle to put into action is what to do or say when you have a dessert but your kids don’t eat dinner. 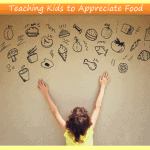 I try to never associate food as a reward (never give my kids treats for potty training etc.) but then I am really at a loss when it comes to what to do when the kid(s) didn’t eat dinner. If I let them have dessert then they get the idea that it doesn’t matter if they eat the healthy food or not and they will continue to skip dinner when a treat is coming afterward. If I don’t let them have it, then missing dessert becomes a punishment for not eating dinner. What to do? I just read the book, French Kids Eat Everything: And Yours Can Too. A lot of great information in there. 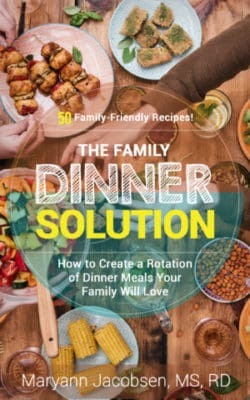 For example eliminating snacks and having an afternoon “gouter” instead so they eat better at meals and learn that it’s okay for your stomach to be empty, bathing the kids first before dinner so they eat later and don’t require that bedtime snack, learning to savor food and other ideas. The author touched on one point related to the last discussion about desserts. There is a logical sequence to meals and if you don’t follow the sequence or cut something out (ie don’t eat your dinner) then you don’t get the dessert. Is there anything wrong with letting your child know that. It’s not really about reward/punish with this philosophy, is it? Thanks for your comment. I read the book too and plan to review it soon. I would gather that children, who don’t pick up on the subtleties of language, would take it the same way. The reason I personally am a stickler for this stuff is I believe teaching kids to listen to hunger and satiety is very important given the food-centric environment we one day will let them loose in. France, especially the small village where this book takes place, doesn’t have these same challenges. In fact, it seems everyone feeds their kids (and eats) the same way. I think there is the belief that if children eat a variety of food that is healthy they will not have eating issues but I have seen otherwise as a dietitian. Regulation of food intake is a major problem, so I take extra care to teach my kids to tune in and honor their fullness. For example, My 3 year old didn’t eat dinner the other night, which is not common for him, and it was a night we had some ice cream. When I went to serve the ice cream, he took one bite and was done (also rare!). It makes me happy that he listens to his body! This doesn’t mean I think every child who needs to eat something to have dessert will turn out an overeater. As parents we just need to ask ourselves what we are trying to teach our kids. And I always blog about the long-term implications of feeding. Getting them to eat now, versus eating patterns as adults. Great tips! It really is important what you say and how you say it. I grew up with my mother always telling us “you don’t need to it” when we were still hungry or if we wanted a snack. I think teaching kids about healthy eating and saying NO to the overwhelming deluge of junky snacks that are taking over our society are really important things. I just think that kids can handle more than a lot of people think they can. This is really food for thought, not strict rules of what to say and not say. Thanks for stopping by! Thanks Maryann! My friend told me about this site and I’m a big fan now. Can’t wait till you review “French Kids Eat Everything”. How you speak about food really is so important: I must be doing something right this week for my 2 1/2 year old to enjoy the swiss chard we had. Maybe it was me building it up all day…”boy, we’re going to be having rainbow swiss chard tonight, one of mommy’s favorites.” I got a big Yummm out of her when she tried it. Mind you she didn’t eat it all and I didn’t push it after that. And when we were going out to dinner the other night she said she wanted to order broccoli, carrots and a salad and chicken. Something I’ve had many times before. So they definitely model after us too. Thank you, Maryanne, for your gracious response to my comment. I just discovered your blog and I love it! I didn’t mean to be critical – I’m sorry! I will continue to follow your blog for the sensible advise. I will check out those two links you suggested. I think one issue is that we’re all trying to do the best we can for our kids. It’s hard, in the health-conscious (online) community sometimes, because everyone is passionate about their kids and nobody wants to screw things up. I wish I could use the 80/20 or “growing food” and “sometimes food” idea with my boys, but there are some things, like artificial food coloring for my older boy, that can never be a sometimes food. While they do get treats, there are some things that we have to put our foot down and say no to. They’ve been taught which foods they have to avoid, for health reasons. Right now, because of that black-and-white mentality you talk about, they would never dream of sneaking away and binging on them. As they get older, though, I’ll keep that in mind. We don’t tell them that a food is ‘bad’, but we do tell them which foods have additives that cause their reactions. My almost four year old hates his reactions and will not eat artificial foods even if enticed by a well-meaning friend. Anyway thanks again for your blog. You know, I don’t know much about your background. But I have a child, who could not maintain his own growth, needed a g-tube placement, and now has a feeding therapist. Almost all of your suggestions are against what she has spent months and months teaching us. I am not sure if it is just because he has health problems and your suggestions are more for “healthy” “normal” children. But it seems way off the mark to me. Holly — thanks for your comment. This post is meant for healthy, normal growing children and supported by research on feeding in general. THe American Academy of Pediatrics and Amademy of Nutrition and Dietetics all support a division of responsilbity of feeding — parents take the lead with meals and timing and children decide how much to eat. Children with growth and feeding issues may need a different approach. But that being said, there are different approaches out there so you want to make sure you ask your feeding therapist about the approach they are using and why. The key is understanding what is behind the problem feeding and developing a plan that addresses the whole child. I like Dr. Kay Toomey’s SOS approach to helping children with feeding problems http://www.sosapproach-conferences.com/ Good luck! Thank you very much for all these advice. Now I know that I have to be careful with the words I use to encourage healthy eating habits on my kids. You provided so much value-added tips here you don’t know how much thankful am I for having come across this blog post. Wow, I am so tired of hearing about all the things that we shouldn’t say. 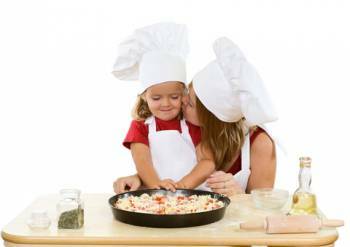 What parent hasn’t been frustrated and tired after cooking a healthy meal that their child won’t touch. It drives us to say things that we don’t like, but blogs like this don’t help. I appreciate the alternative statements – why not start with those and flip it from a negative on parents to a set of positive statements. But I know that’s a much less titillating blog post…. I love these. Have you read “French Kids Eat Everything” ? It has similar guidelines that I have always thought were common sense. I teach 2 year olds in a preschool and it can be very frustrating during lunch time when they dont eat. The only point on which I disagree with you is my students seem to want to do things like their peers. When I say, “Look at all your friends eating X. Did you like that other child? Good. If all your friends like it, maybe you will too.” I have used that positive peer pressure with varied but mostly positive results. Lana — you bring up a good point. Studies show that kids respond favorably to new foods by watching other kids eating a food. Often nothing has to be said. If they see their peers eating it, they are more likely to. But the context I see more often is a parent pressuring their to eat something and pointing out how their cousin or sister is eating a food and it is perceived more like pressure. So of course it depends on how it is said and the child of course. I like the one that says not to use peer pressure (such and such is eating, why don’t you?). I like having a different approach so thank you for listing some options; peer pressure never seems to be a good thing to teach children. Besides, I want them to eat it because they are choosing to venture out (even if it is because they feel brave watching other children venturing out); not because they feel pressured to be like someone else. The other 9 options were great as well. i normally take my kids around the slum areas in the bazaar areas they observe how others are living,they need no persuation to eat whatever is laid on the table. Thank you for writing about these things; I find them helpful not only as I parent this 2 1/2 year old, but also in my own self-talk around food. If my son is listening to his body and his taste buds, and he eats a bite of the food and says, “Yuck. I won’t eat this.” but usually *does* like broc and spinach and pesto and all kinds of stuff, what should I do? Shannon — The key is to provide at leaste 1 to 2 items he likes at a meal. It is not uncommon for young kids to not be hungry at dinner. The problem is we look at this from our point of view and how hungry we would be if we skipped dinner. But young kids grow in spurts and there are times they are simply not that hungry, especially after the age of two when growth slows. Younger kids (under 3), need to eat more frequently so it might be smart to have a bedtime snack or milk before bed. So I say carefully plan the meals providing at least something your child likes, alternating with some of his favorite meals. If you start this habit now of providing one dinner meal, it will save you in the future. Make sense? great list but i have to disagree with a couple of them. making what they like for dinner: what’s wrong with them eating the things they like? i don’t think they should be forced to eat what we tell them to. my kids ate nothing but eggs today. breakfast, lunch and dinner. i don’t think they are going to eat nothing but eggs forever because that’s all they ate today. people should eat what they enjoy to eat. that’s not to say don’t ask them to try new things but they shouldn’t be forced to eat it. I think these are good guidelines to think about. I know my step kids (11 & 13) are sensitive to how things are said sometimes, but I feel like we have become an “everyone gets a trophy” (everyone wins regardless of effort) society, which isn’t real life. I don’t think we should sugar-coat everything. I grew up with the rule that you must TRY everything on your plate, but you didn’t have to completely clean your plate. Also, mom only made ONE meal. She had no plans to cater to everyones preferences. About sweets in the house, we ALWAYS had some kind of cookie, sweet cereals, etc., but had to eat the healthy meal before we could have a treat. My parents also didn’t forbid them, so it wasn’t a big deal. We follow those same rules at our house. For instance, lunch yesterday was homemade tomato soup and grilled 5-cheese sandwiches on sourdough. My stepson can’t get enough of the soup, but my stepdaughter doesn’t like the texture. He ate everything and she only had her sandwich. She knows we ALWAYS have fresh fruit and nuts available if she wants something else to eat. He won’t eat very many veggies, but that soup has tomatoes, carrots, celery & onions in it. I always give them two options for meals or ask if they have a favorite. They each get to decide on one meal. My stepson chose the tomato soup and my stepdaughters choice for dinner was grilled flank steak, asparagus and baked sweet potato fries. We have very few processed foods in our house, but we do make treats once or twice/month. Also, there is a book that was released last year called “Bringing up Bebe”. I can’t remember the authors name, but she’s an American woman who moved to France with her husband (not American). The book is all about the behavior and feeding of children in France. Great book! This is such a great list. I try my hardest not to say/do these things. But my mother in law does just about everything on this list. I don’t know how to get her to stop without being rude. But I can’t help but think this is the reason my niece, who lives with my mother in law, doesn’t eat. 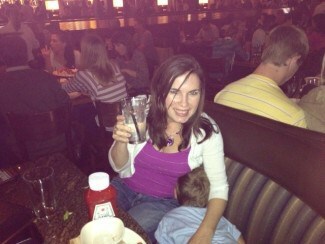 I’ve tried to get my niece to eat, and a lot of the time I’m the only one who can coax her to try new things. Anyone have any suggestions about how to explain this to my mother in law? What do you recommend when a toddler asks for endless servings of one particular dish at the dinner table (like bread) when their plate is full of other items? Just let them have as many pieces as they want and trust eventually they will balance themselves out? Or is there some reasonable way to limit like saying for instance “I think now we need to save the rest of the bread for later.” Also do you think it is appropriate (from a manners stand point) to have a family meal time rule that everyone tries at least one bite of new items served to see if they like it before refusing to eat it? If they don’t like it, they are not forced to eat more. If they do like it, great, but no one makes a big deal out of it either way. Would love your thoughts. Kelsie — I think it all depends on your child. I think it’s best to offer a variety of food and let children decide what and how much to eat. Kids tend to focus one one or 2 foods at a meal but over time eat more of a variety. But if encouragement to eat the other food works, than that would be okay. Thanks so much for that link. I may sit my mother & sister in law down and talk to them about what I’ve read here. I may even send them the link if they want. They often praise my daughter for eating so well, yet they’ve never asked why she’s such a good eater! I would appreciate any other resources you think would be helpful! Thank you so much!! I seem to have the opposite problem of most of the commenters. I did baby led solids with my son and I’ve always offered a wide variety of healthy foods, thus he is a GREAT eater. TOO good! There are times he will eat and eat and eat and you can see his poor little tummy is about to pop. What on earth are my husband supposed to say/do in this type situation? We try to get him to think about how his tummy feels so he recognizes being full. These last few days he’s cried when we’ve said the meal is over, I guess because we had enough of the “ok, one more bite” and such, but gah. So confused. He’s almost 3 and a perfect weight. I’ve been told let him decide when he’s done, but he’ll eat more than his daddy sometimes! This is a question I get more than you would think. The first thing to do is to check what you are giving him. Is he getting enough fat and protein to fill up? SOmetimes I find that young children are getting lots of fruits and veggies that are low and fat, and may be hungry as a result. Providing all the food groups (protein, grain, dairy, fat, fruit/vegetables) at meals and snacks are important. Also, around 3 children become more interested in sweets so including these on a regular basis helps from becoming obsessed with them. Most kids will regulate their intake well if caregivers provide balanced meals and allow them to stop when they are full. If you try to limit them, they begin to eat in the absense of hunger. So if your little guy senses that he can’t get enough to eat (even when it seems like a lot to you), he will eat even more than he would otherwise. It takes a leap of faith but if you have all your meals and snacks at the table, allow him to eat until he is full, he will likely calm down. 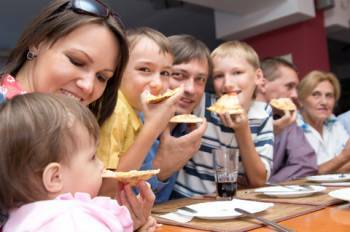 Kids have different appetites — some small, some middle of the row and some very large. My son ate more food than me his first 2 years of life but with slowed growth that occurs during the toddler years, he now has an erratic appetite (some times a lot other times very little). I believe if I would have tried to make him eat less those first two years, he would probably have becomed more focused on food. Let me know if you have any other questions. My 30month old is a terrible eater and I am at a loss of what to do. She’s tiny anyway and has always followed the 9th centile for her weight, I think I am scared she’ll end up like me (I tried pizza at 16 and have only ever eaten a sandwich once) I am relying on fussy eater milk and snacks at the moment to get her to eat and I am not sure now to break the cycle. I do pretty much everything on the list that I shouldn’t do ( i don’t compare her to her brother who eats like a pig) I have even resorted to time outs for not finishing meals (I realise now this is dangerous) because she doesn’t even try her food. If you could give me some advice I would really appreciate it, my children mean the world to me and I’m happy to change everything I can to give them a better life. Claire- I find the best way to tell if children become good/healthy eaters is to model the behavior. Based on your statement you have higher expectations of your children than yourself. Please model healthy eating behaviors. Try new foods and talk about that with your children. If you are not a healthy eater or have a healthy relationship with foods your children will not develop a healthy relationship with food either. 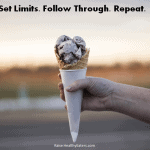 You may have to fake it that you like foods to get them to try them but the more they see you eating different foods the more they will be willing to copy that modeled behavior. Thanks Vicki, but I am not sue that is the problem. I’ve worked really hard to aster my eating issues and did this prior to the birth of my daughter, the only thing I refuse to eat these days is mashed potato! What I am trying to do now is find a way to help my daughter so she does not go through the first however many years of her life being labelled as a fussy eater. We try to make her eat what we do and generally that is very healthy foods, my problem is that she won’t even try them and I am scared that she’ll spend her childhood not enjoying food like I did. Thanks for writing in. If you haven’t already, check out my picky eating series https://www.maryannjacobsen.com/category/picky-eating-series/ It’s really normal for kids to be picky between the ages of 2 and 6. The key is how parents respond to it. For this stage the Division of Responsibility works the best meaning you take charge of what is for meals, when and where and then leave it up to your child to eat it. It will melt away battles and make meals more supportive and pleasant. While your child will not start trying foods right away, over time she will. You can encourage her to touch or smell first, getting her comfortable with foods. 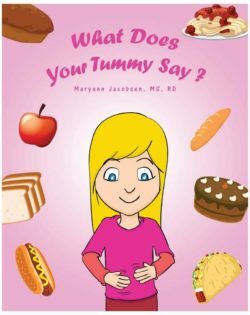 If you are concerned with nutrition, see this post https://www.maryannjacobsen.com/2011/09/kids-nutrition-part-5-how-to-meet-childrens-nutritional-needs-even-when-they-dont-eat-perfectly/ Between the ages of 2 to 6 kids are actually the least likely to be deficient in nutrients so it’s easier to get nutrition than parents think! Also, picky eating is genetically linked so if you were fussy as a kid that could mean that your daughter may be slower to adopt new foods. The key is not to label her a picky eater, and instead have an expectant attitude about her eating like you would if she was a slow to read or write. 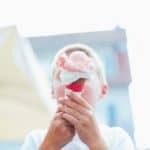 This article provides more insight into that https://www.maryannjacobsen.com/2012/12/the-feeding-strategy-every-parent-needs-in-their-toolbox/ Often we go to the other extreme of how we were fed as a kid, which may not always be helpful. The middle ground is best — not too controlling or permissive. 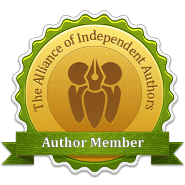 Thank you MaryAnn, I really appreciate your response and will check out all these articles today. I have an additional question based on what you said about I control the food, she controls whether she eats it. How do I get her to the dining table? For example this morning she asked for raisins and watermelon juice, I gave her the breakfast food and added more raisins and fresh juice then daddy and I say at the table with our breakfast, she refused to come to the table and eat, so I ended up letting her have yoghurt, no threats or time outs or comments or tv. If you have any comments on how I could handle the situation more effectively I would appreciate it. Claire — if you read through the series it will help you. I think if you really want to change things you will need to sit your child down and review the new rules. This means that parents decide when kids eat, what kids are served and where the eating occurs. Let her her know that it’s her choice what and how much to eat of what you serve. These are great articles Maryann and I’ve already started to put the advice into practice. Thank you so much for all the tips, I really appreciate it, especially since we are living in china and we don’t have the usual support network, just the Chinese way where grandparents chase children around the house with a bowl and spoon!!!! Now I just need to get my husband to do the same and I think Little O will be just fine. Oh by the way, I think she is a late developer who is very stubborn! Where as I was a selective eater, I remember once only eating streaky bacon until I hated the sight of it! Tastes change over time, and that’s okay! Oh this is fantastic! I am having SO much trouble with my 4 year old at the moment. She just won’t eat anything!!!! Unless its sugar!! I’ll be trying some of these – thank you! Why does EVERYTHING have to be about raising the kid’s self esteem? How confident does a 4-year-old have to be to eat dinner? I’m all about how kids don’t always understand when we try to communicate them; BUT, telling the kid to quit being picky isnt a criticism. Its a fact, and you can correct it once the kid is aware of it. Also–I’m just saying–when you keep soiced raw vegetables in the house instead of cookies, cake, or ice cream, kids don’t try to skip straight to desert. Worked pretty well for me growing up. My brother and I turned out terrific, without anyone coddling our self-esteem. In general I stick with the research that shows a parents ways they can increase the likelihood they will raise healthy and happy eaters. There are no guarantees or one right way to do it. I educate parents so they can make the best decision for their family. 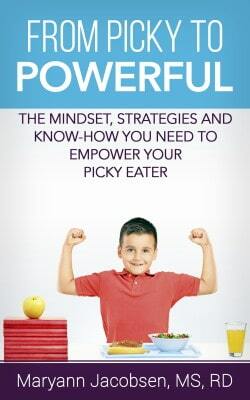 In reply to Emily’s comment, I have to politely disagree and say of all the things on Maryann’s list, telling a child they are a picky eater is what resonated the most with me. 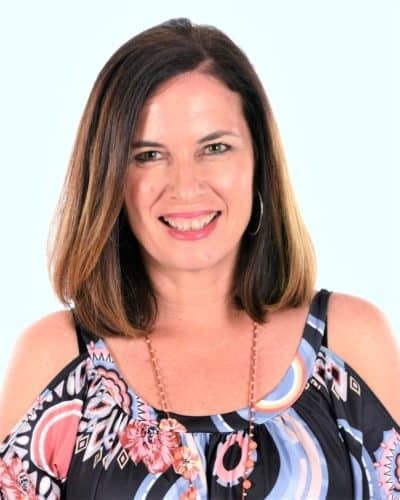 I was constantly told this as a child, and the effect was I decided I didn’t have to try new foods or foods that made me uncomfortable because I had an excuse – I was a picky eater! It was like it was now legitimately beyond my control, it’s just the way I was, my mum said so! And it’s not as though she didn’t try – she is French and in French culture the family all eat together and all eat the same foods and there is no special pandering unless it’s for a medical reason. But self esteem was never a problem, I was perfectly confident in school and among other children (still am). But I struggled with food throughout childhood (and still do as an adult). I never really grew out of picky eating as once the label was there, it stuck. In recent years I’ve slowly taught myself to like some new foods and some new combinations, by literally following the techniques you’d use on a toddler and trying over and over. But I will still go to a restaurant and think, I won’t like anything here because I’m a picky eater rather than just be up for trying things. So be careful what you call your kids, the wind might change and they’ll be stuck that way! Great article, although I got a bit stuck on the last point. My two year old often refuses to eat dinner and I am certainly not going to let her go to bed hungry so I will give her toast or yoghurt. If I am not allowed to “reward” her with dessert as an incentive (which doesn’t work anyway to be honest), how else do you suggest I help her learn to eat dinner without having to go to bed hungry if she doesn’t like it? Mummy Em — If dinner is early and it’s a few hours until bedtime, you can incorporate a night-time snack or milk before bed. As others as have said, young toddlers may simply not be hungry for dinner and are often tired and crabby (and don’t eat well at that time). Just make sure there is 1-2 items at the table he is likely to eat. If he doesn’t eat those, it’s probably that he isn’t hungry. Watch for snacking before dinner, which can decrease appetite. It’s normal for kids eating to be erratic as long as growth is on track. My book, Fearless Feeding, gets into all the details as to why kids eat the way they do at different stages. Mummy Em, I am in a similar situation to you. I also have a 2 year old who often refuses to eat his evening meal. But I have always used the practices as described here and dont make an issue out of this. Normally making a game out of it helps a bit or “careful! The cat might come and eat your dinner!” helps as well. Since he knows the cats have their own food and our food isnt good for them, he sometimes waits for the cat to comes near, and then quickly takes a bite. He will always get dessert, same as the rest of us. It is not used as an incentive or as a reward. It is simply part of dinner. If he’s not eaten as well as i woul have liked, i make sure his dessert is a very healthy one (plain yoghurt with fruit in it). I also dont force him to stay seated for the whole meal, Ive read elsewhere that it is too much to expect from a young child that age. If his dinner has gotten to cold, i simply say “I notice your food has gone cold and you’re finished eating. I’ll put it away so you can finish it later when you are hungry again”. I put his dinner in the fridge and he will get it for breakfast in the morning. It usually tends to be the case that he was too tired to have his dinner, and has no problems eating all of it in the mornings. But I will have to wait with my own breakfast till he is finished or he will want the same as me and still not eat it. Also, dont make dinner the most important meal of the day for a toddler, nutrition wise. Make sure they eat all their necessary nutrients over the course of the day, and if they miss dinner its not a big deal. Ive noticed that my son eating or not eating his dinner happens in phases, which are usually linked to his sleeping patterns or learning new abilities. Mummy Em, forget the toast. Offer some fruit instead. Make a small portion of the main meal, even putting on one of each vegetable they like and dislike so they can ask for more. I had a fussy nephew who did not eat veg. When we had broad beans I said they were for adults as they were what jack and the beanstalk liked, he tried one of ‘our’ veg, and asked if he could have more. Food they are not offered becomes desirable, let them try it as a treat, sometimes that works. Lastly, going to bed hungry for one night will not harm, they will be ready for food the next day.